What is inclusive teaching and education? 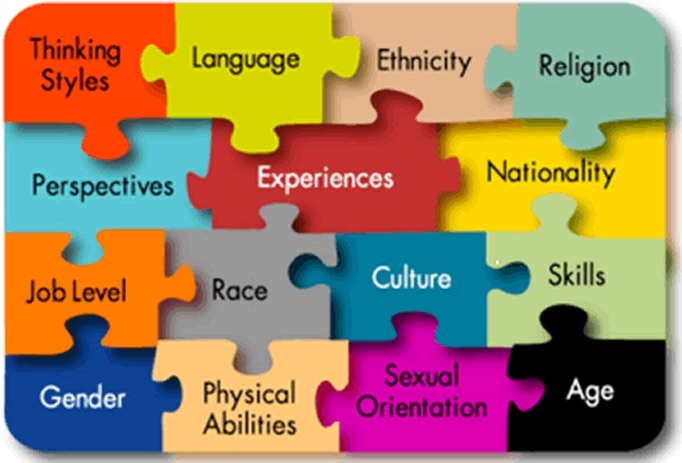 Inclusivity in the classroom is a key issue, as students come from a diverse range of backgrounds and bring a variety of learning styles, abilities, and experience to each course. Teachers may find themselves facing complex questions such as “how do I make education more accessible and equitable for my students?” or wondering where they can even start. Despite the intricacy of such questions, though, inclusivity in the classroom actually begins with relatively small adjustments that, despite their size, can still ensure that more students are able to take and succeed in courses. Kate and her friend each drove from their house at Dupont Circle in Washington, D.C., to the Met in New York City (234.8 mi away). Kate left at 8 AM and drove at an average speed of 62 mph. Her friend left at 7AM and drove at an average speed of 54 mph. Who arrived at the Met first? This math problem might seem innocuous enough, but certain concepts and language have the potential to alienate learners by excluding or distancing them, which in turn can decrease their engagement with the course as a whole. Here, for instance, there are the implications that the couple can afford two cars and a long drive just to visit a museum, which will not be true for many students assigned to solve such a problem. Further, many international students may not know what mph stands for. Many students, especially international students, may not know what is the Met. Teachers can avoid this kind of alienation and reach the largest number of students possible through inclusive pedagogy and teaching practices, such as double-checking language for unintended privileging, introducing new structures to in-class learning activities, and ensuring that material is covered with respect and awareness. Through these simple changes, teachers can remove at least some of the barriers and obstacles facing students, freeing their attention to focus on the material instead. In addition, teachers’ awareness and work towards increased inclusivity can promote greater respect, create a sense of belonging in higher education, and drive increased engagement among students. These are important goals because students who lack a sense of respect for, belonging to, or engagement with a course are less likely to participate in it or its learning activities: they may stop attending class, cease interacting with peers and the instructor, or even stop turning in class assignments. These issues can lead in turn to larger ones: students might drop the course or the major, or as a drastic final recourse, even leave the university. The burden is on both teachers and administrators to foster a positive learning culture where students feel welcomed, engaged, and included. Online learning options, such as free or low-cost massive open online courses (MOOCs) also offer new avenues for increasingly accessible and inclusive learning. Students enrolled in online learning opportunities, particularly MOOCs, often face fewer geographical barriers; MOOCs welcome learners regardless of location, even students from developing countries. Then too, online learning options are often more open to non-traditional students, especially adults with family obligations when demands on their time might prevent them from attending traditional classes: here the flexibility and self-pacing of a MOOC become inclusive of their needs and challenges. However, even as they benefit some underserved or non-traditional learners, these same characteristics of a MOOC can also become exclusive of other student populations, including those with lower grade point averages, those with less technological literacy, and those encountering online learning for the first time. Where other students might benefit from a MOOC’s flexibility and self-pacing, inclusivity for these students might include more structure and more instructor pacing. Teachers and institutions considering online learning options, then, should keep in mind that inclusivity is not one-size-fits-all: MOOCs and other online learning options need further development in order to support and increase course completion among certain student populations, including female learners and learners with no previous postsecondary experience. How might cultural assumptions – the teacher’s and the students’ – influence their interactions with one another? How could students’ backgrounds and previous educational experience influence their motivation and engagement in a particular course? How can course materials, assessments, and activities be made more accessible to all students? Offer multiple means and opportunities of assessment. Different students demonstrate their knowledge and development in different ways, so creating a variety of different assessment methods (written and verbal, in-class and take-home, collaborative and individual) will ensure that more students have a fairer shot. At the same time, though, ensure that students understand how they are being evaluated and graded. Incorporate different teaching techniques and assignment designs. Much like with the recommendation about assessments, using different teaching methods and forms of active learning will give students multiple opportunities and ways in which to learn. Review the course design and materials to ensure that multiple viewpoints and perspectives are represented accurately and respectfully. This is one of the best ways to acknowledge possible differences regarding gender, sexual orientation, age, ethnicity, socio-economic status, and more. Design all course contents in accordance with accessibility and universal design principles. Apply digital technologies to promote inclusion in the learning environment.